Are you ready to see today's new cuties? I told you they were adorbs!! 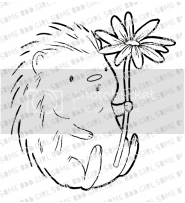 I chose to color Mr. Hedgey holding that darling flower. I had soooo much fun coloring his hair! 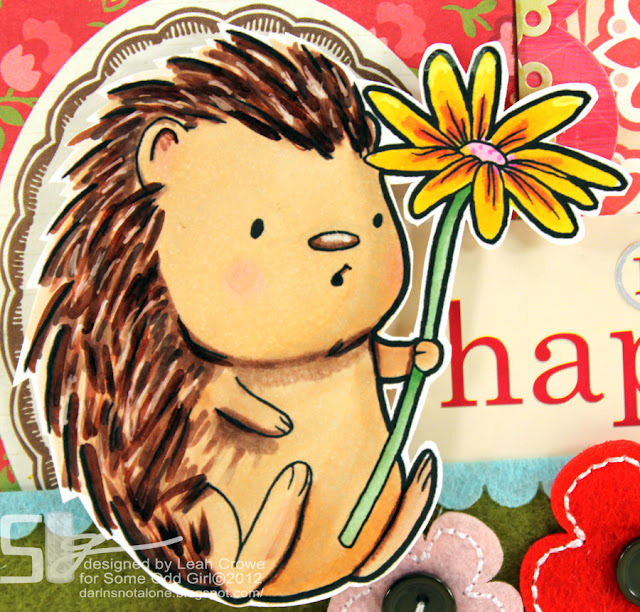 It was done with lots of flicking and changing up the colors to create some depth to his spiky little hairs. 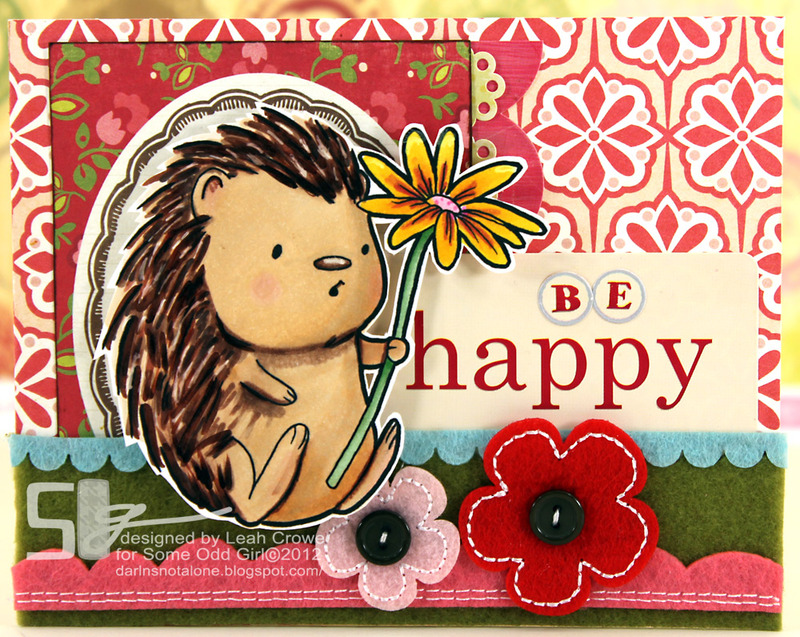 To see how the Some Odd Girl DT colored up Spring Pup and more examples of Hedgey, head to the SOG blog.. I bet you'll find a surprise there too! Also, don't forget about the Raffle Some Odd Girl is having too.. as they are headed to CHA this year!!! It's too good I tell ya! :) I'll be back again tomorrow.. thanks so much for commenting, I appreciate and love it! <3 I am soooo envious of your skills! 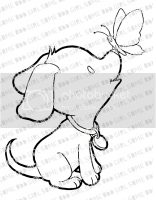 Aww, what a sweet image! The card is so cute. You did a terrific job with the colors. OMYGOSH!!! How stinkin' CUTE CUTE CUTE is he!??!?!?!?!?! Loveeeeeeeeee this!! Girl your coloring is amazing...I love how you made his hair...adorable..
2 - the SHADOWS?! fer serious? oh. em. jee. 3 - this particular card has so much stinkin' POP and WOO-HOO that i just can't contain myself.